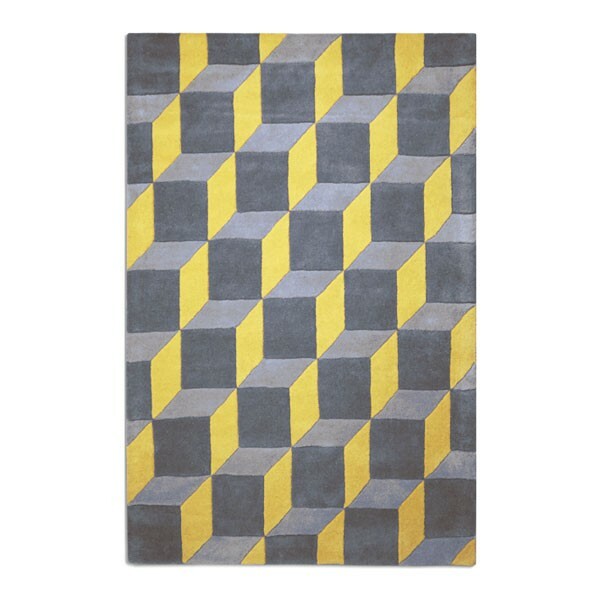 Dive into the incredible 3D pattern of this wonderful Geometric Rug! Perhaps you can see cubes stacked upon each other or maybe just a flat, square pattern? Whichever way you look at it, this yellow contemporary rug has a fascinating design in 2 tasteful shades of delicious chocolate brown and burnt yellow. Geometric prints are timeless classics and are versatile enough to look good with traditional and contemporary interiors. This rug will glamourise your living room, dining room or make a great focal point in your hallway. The inspiring pattern could invigorate your study or liven up your bedroom too. The fact that it’s made from pure wool brings numerous benefits, including longevity and the satisfaction that you own a sustainable and environmentally-friendly rug. This is great news for all ecowarriors who strive for a cosy yet green home!